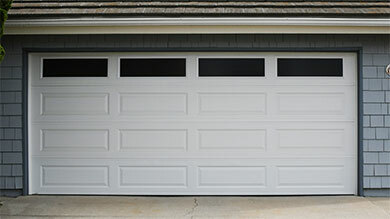 We sell and install custom wood, steel, glass-aluminum, vinyl & fiberglass sectional garage doors & one-piece tilt-up doors, along with garage door operators. 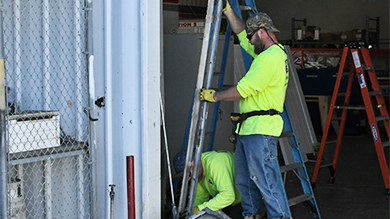 Our team installs roll up doors, rolling grilles, rolling counter shutters, steel sectional doors, rolling fire doors & hollow metal pass doors, as well as overhead door operators. 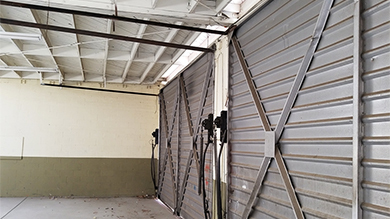 Efficient service and preventative maintenance keep your overhead door system working at its best. 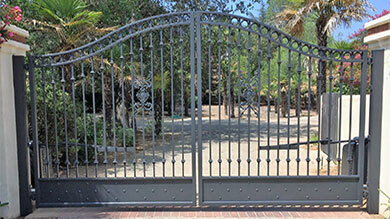 We can design a custom automatic driveway gate system for your residence or business. 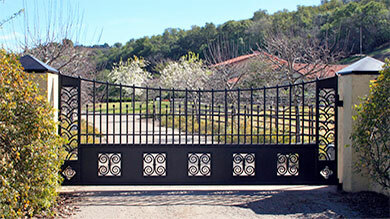 Protect your property and maintain your privacy with a professionally-installed custom gate. 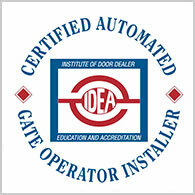 Top-quality swing and slide gate operator installation services for your home entryway. 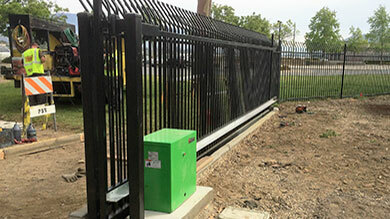 We install slide, barrier arm and swing gate openers and gate systems for all industries. 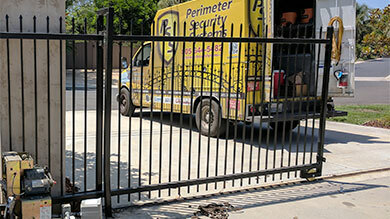 Our well-trained technicians keep your electric gate system working exactly as it should. 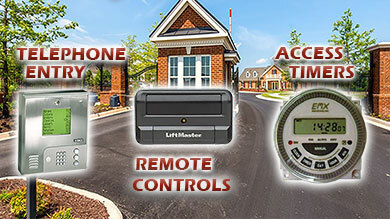 Have us install and service your keypads, telephone entry systems, access timers and more. 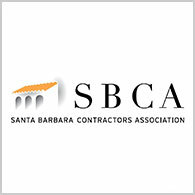 supplies, installs and repairs residential garage doors & operators as well as commercial/industrial overhead doors & operators from Goleta down to Simi Valley/Oak Park. 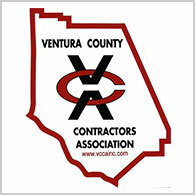 Our estimators and technicians have more than 45 years of combined industry experience. We offer garage doors, steel sectional doors, roll up doors, fire doors & more from top manufacturers, including Wayne Dalton, Amarr, Cookson and Porvene. While we primarily use LiftMaster door openers, we work with all makes and models. 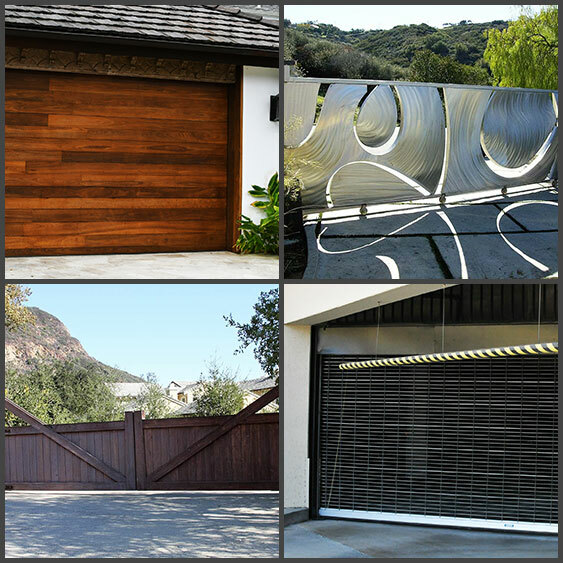 PSS Garage Doors & Gates has also been installing, repairing and maintaining automatic gates, gate openers, gate remote controls, access control systems and gate safety devices for over 35 years. 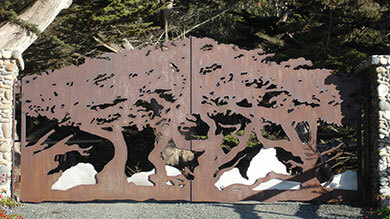 Additionally, we design and fabricate custom residential and commercial entrance gates. 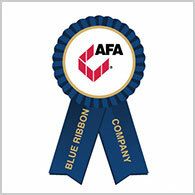 Many of our residential, commercial and industrial clients have us put together their entire electric gate and access control systems. Our gate specialists consistently produce top-quality work, and will ensure that your system provides the security and privacy you need.